All your favorite friends are back - Bambi, Thumper, Owl, Flower and Faline - in this magnificent Special Edition of Bambi II. 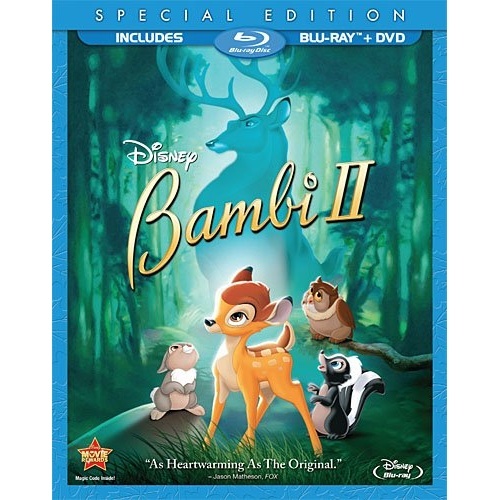 Return to the forest and join Bambi as he reunites with his father, The Great Prince, who must now raise the young fawn on his own. But in the adventure of a lifetime, the proud parent discovers there is much he can learn from his spirited young son. Celebrate the unbreakable bonds of family and the power of friendship in this unforgettable coming-of-age tale your family will enjoy again and again.